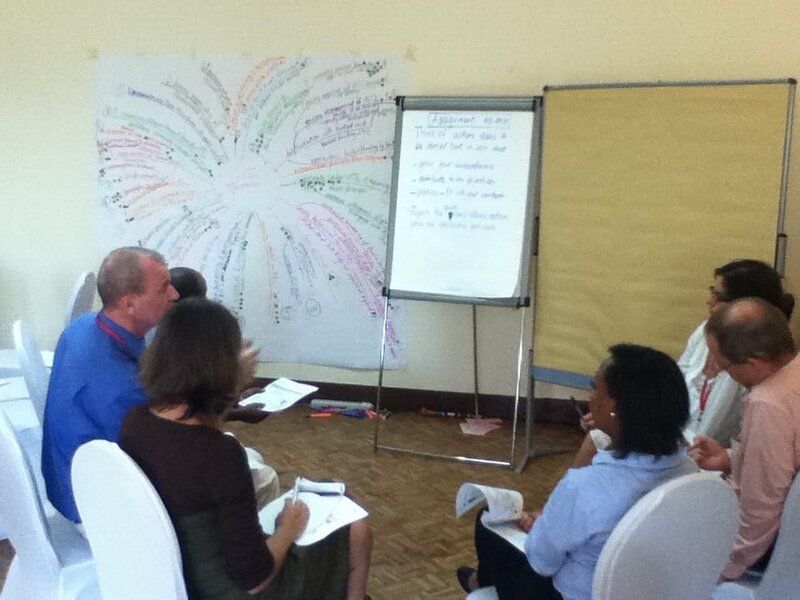 Around 30 staff of the German International Cooperation (GIZ) in Tanzania went to a participatory planning process. They interviewed each other about the successes of 2013 and identified the root causes of these successes. It gave them insight in what they are good at and was seen as fertile soil to allow further growth in 2014. Together they explored the context of their work by creating a mindmap with all trends that have an impact on their work. By identifying the most important trends they already created a focus for planning their activities. The ideas that were generated were in line with strengths and created enthusiasm and energy. On day two a smaller group continued to set priorities and develop a feasible work plan for 2014.